Thanksgiving is a special celebration that most certainly deserves a special menu! In the quest to serve up a memorable meal, often keeping it simple is best. And that’s what I love about the following recipes. Made with wholesome real food ingredients, each represents the simple, traditional flavors of Thanksgiving. Nothing super fancy or difficult, just delicious family-style dining at its best! I’ve made a lot of roast turkeys throughout the years, but this Herb Stuffed Roasted Spatchcock Turkey (also shown sliced above) is by far my newfound favorite because it’s a quick, easy and foolproof method for achieving a fantastically juicy and flavorful bird! 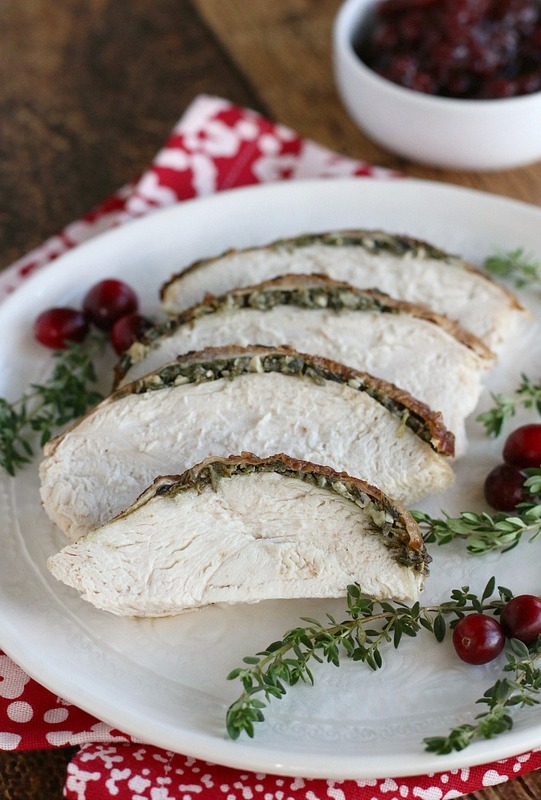 I may be a bit bias here, but this simple, yet savory Herb Seasoned Grain-Free Stuffing is my absolute favorite complement to a perfectly roasted bird. This no-bread wonder tastes so much like the real deal, I jokingly call it the “I can’t believe it’s not stuffing, stuffing” because the taste and texture is absolutely amazing! My dear friend Jessica knows how it’s done, which is why her simple, yet delicious recipes are a frequent in my free weekly meal plans. 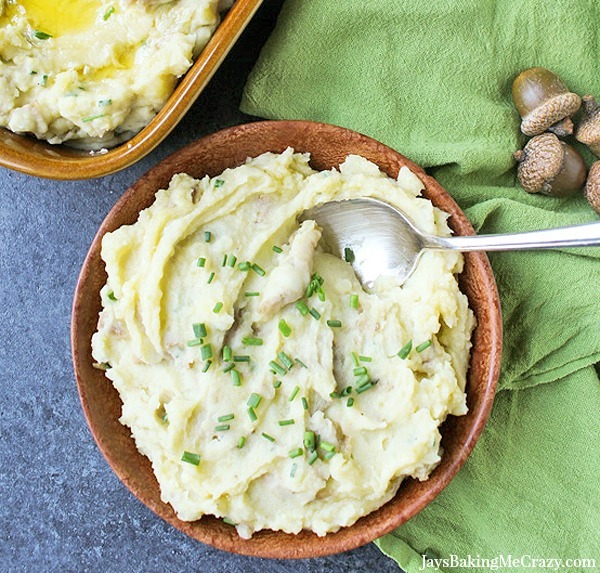 And her recipe for Creamy Mashed Potatoes is definitely a keeper that will be frequenting our family table on Thanksgiving Day and beyond! 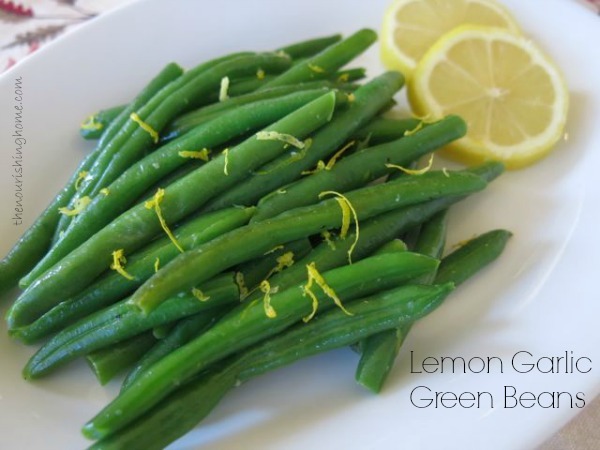 A simple, yet delicious side, Lemon Garlic Green Beans have been a family tradition since I was a wee-one! Please note: When serving these aromatic green beans as part of a Thanksgiving meal, I reduce the garlic to just one clove. That way, it doesn’t overpower the other savory flavors on the plate. It wouldn’t be Thanksgiving without pumpkin pie! And guess what, I have a secret for you … You don’t have to put up with over-baked grain-free pie crusts to enjoy classic desserts like pumpkin pie! I’ve got a simple method for making perfectly scrumptious pumpkin pie with a light flaky grain-free crust. What’s the secret? 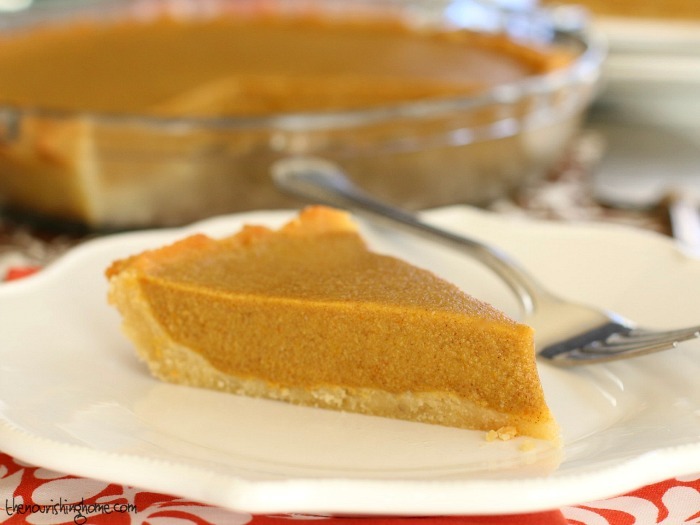 Pop over to my Perfect Pumpkin Pie recipe to get the delicious details! Just a friendly reminder, that I send FREE Gluten-Free, Grain-Free Meal Plans each week to subscribers of The Nourishing Home Newsletter. Each week’s healthy & delicious meal plan contains easy, family-friendly GF recipes along with a shopping list and recommended prep ahead tasks to make getting a healthy dinner on the table a snap! By subscribing to The Nourishing Home, you’ll not only gain access to my free weekly GF meal plans, but you’ll also receive exclusive GF recipes, cooking tips and more! As we gather together with our families this holiday season, may our hearts be centered on bringing glory to the One from whom we’ve received abundant patience, mercy, grace and love! Save time and enhance flavor this holiday season with a simple shortcut to juicy roast turkey with just a few snips of your kitchen shears! This summer, after discovering how easy it is to spatchcock a chicken for a perfectly roasted bird that’s super moist and flavorful, I just knew I had to use this simple method for roasting a whole turkey as well! And the results are just as amazing – a beautiful turkey with unbelievable flavor and moistness in less time and with less effort! If haven’t tried this easy foolproof method yet, let me encourage you that it’s a real game changer for ensuring a more evenly cooked, juicer bird! Another reason to love spatchcocking is its sheer simplicity – there’s nothing fancy or difficult about it. All that’s required is a large rimmed baking sheet and a simple pair of poultry shears, which are used to remove the backbone in order to flatten the turkey. And that’s the secret to this classic cooking method … Flattening the turkey exposes more surface area to heat, which reduces overall cooking time, and also results in the white breast meat and dark leg meat reaching doneness at the same time. And even cooking means juicer meat and a crisper skin! Just look at that perfectly golden bird! It really is so simple! Just give it a try and see for yourself! 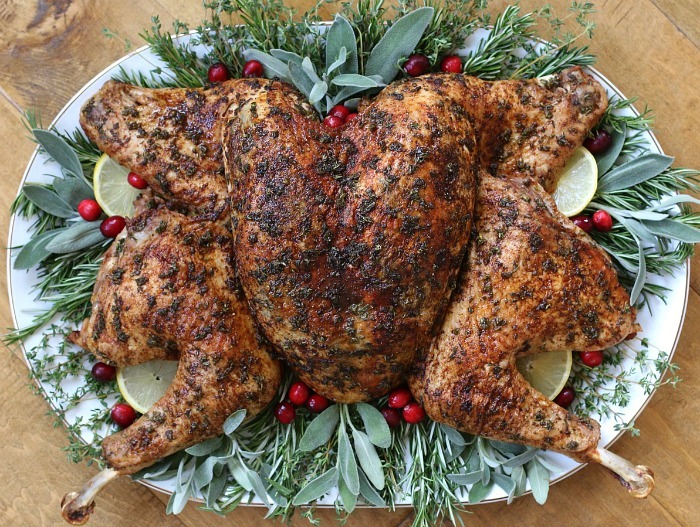 This beautiful roasted spatchcock turkey is definitely as delicious as it is stunning! The flavorful surprise of a fresh herb mixture stuffed under the skin helps to keep the breast meat moist and juicy, and oh-so-flavorful! This easy & tasty technique will have your family “oohing-and-ahhing” with every delicious bite! That’s why this gorgeous bird is the shining star of my family’s Thanksgiving Menu. And it pairs beautifully with my bread-free Savory Grain-Free Stuffing, which is so remarkably similar in flavor and texture to traditional stuffing, you’ll swear it’s the real deal! Step One: Rinse and pat dry a whole turkey (about 12-14 pounds). 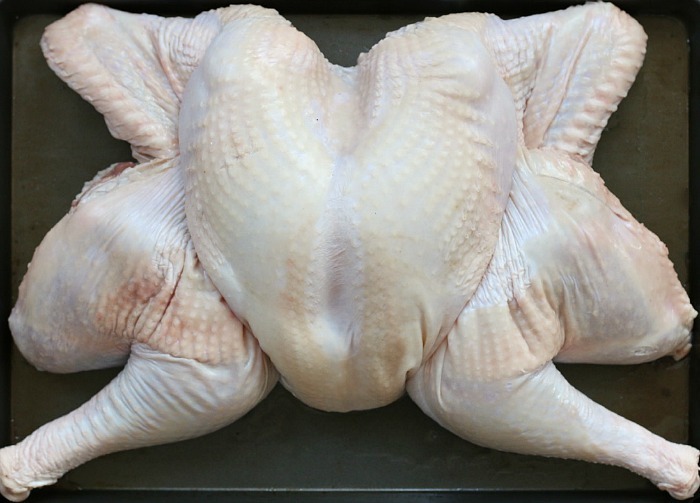 Place the turkey breast side down on a work surface with the legs facing you. Grab the bird by the tail. 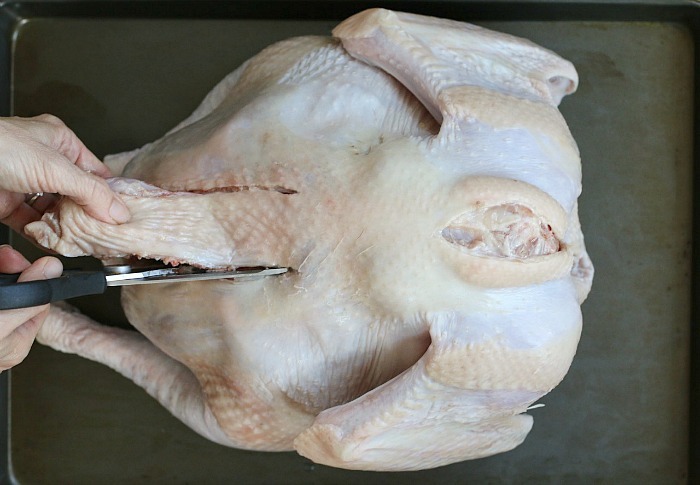 Using sharp poultry shears, remove the backbone by carefully cutting along both sides of the backbone from the tail to the neck. If you hit a tough spot, try cutting with just the tip of the shears. P.S. Be sure to save the backbone (and giblets) for making delicious and healthy homemade stock. That’s all there is to it! 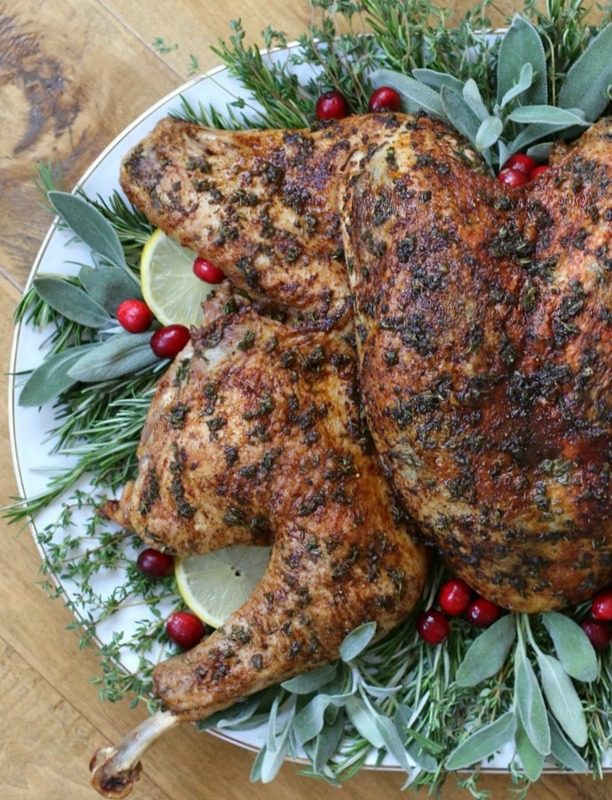 Now that you’ve learned how to spatchcock turkey, you’re ready to season your beautiful bird with a flavorful mixture of herbs and ghee for the moistest, most delicious turkey you’ve ever tasted! (See recipe below.) Enjoy! When ready to roast, preheat oven to 425°F. Pat dry the turkey and season with salt and fresh ground pepper. In a small bowl, combine the fresh herbs, lemon zest, salt, garlic and ghee to form a paste. Carefully detached the skin from the turkey breast by gently sliding your fingers under the skin to separate the skin from the breast meat. Let turkey rest at least 20 minutes before carving. 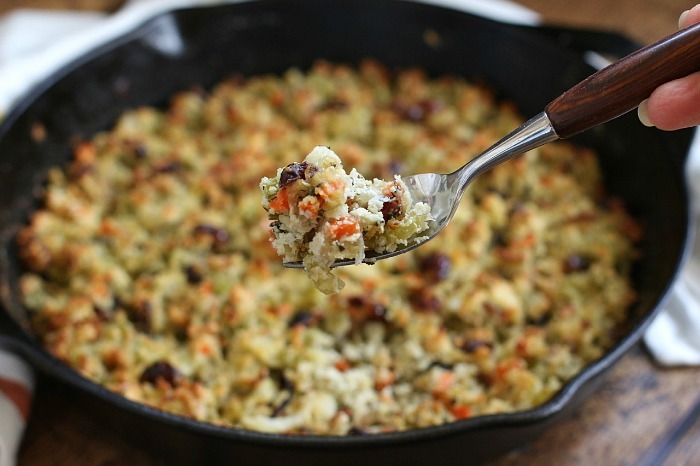 Serve with your favorite healthy holiday sides like my Savory Herb Seasoned Grain-Free Stuffing. Enjoy! 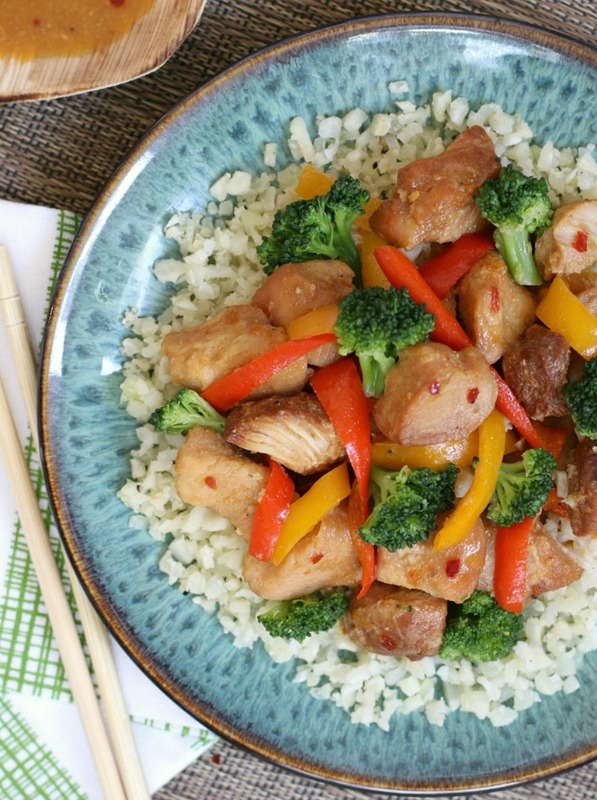 This easy and flavorful Slow Cooker Sweet & Spicy Chicken is a healthier and tastier alternative to take out, and even better – it’s no fuss! Finding ways to save time, money and stress while eating healthier is definitely a passion I love sharing! That’s why I’m excited to share an updated version of one of my favorite slow cooker meals, which just so happens to be featured in the new cookbook, From Freezer to Table , by my dear friends Polly and Rachel at Thriving Home. My new-and-improved Slow Cooker Sweet & Spicy Chicken is a definite family favorite, which is why it frequently appears on my weekly whole food meal plans. The all-natural sweetness of apricot jam combined with a flavorful array of seasonings results in a sweet-n-spicy sauce perfect with slow-cooked chicken and veggies. Simply serve over a bed of basmati rice or cauli-rice for a quick and healthy meal! As a busy mom like you, I know it can be a real challenge to get a healthy meal on the table, which is why I’m so excited that my talented friends Polly and Rachel decided to combine all of their freezer meal expertise into a helpful new cookbook, From Freezer to Table . Their beautiful book contains 75+ delicious whole food recipes and how-to-strategies for creating easy, family-friendly meals that can go from the freezer to the table in a snap! P.S. If you’re gluten-free like me, you’ll be happy to hear that 20+ of the recipes are gluten-free (including my recipe featured in the book, which I’m sharing below). A few of my favorite gluten-free/grain-free freezer meals from the book include: Lemon-Garlic Chicken (p. 88); Flank Steak with Chimichurri (p. 101); Totally Tasty Taco Kit (p. 108), Zesty Marinated Shrimp (p. 137); Chili-Rubbed Beef Brisket (p. 195) and there’s so many more! 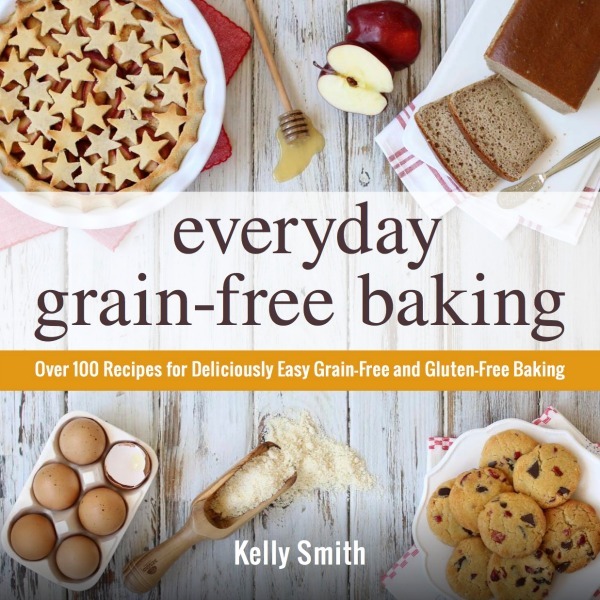 Of course, many of the grain-based recipes in the book can easily be adapted to be gluten-free and grain-free meals by simply substituting with zucchini noodles or cauli-rice instead. Burgers and sandwiches calling for a bun can easily be wrapped in lettuce instead, or served on a sweet potato bun. 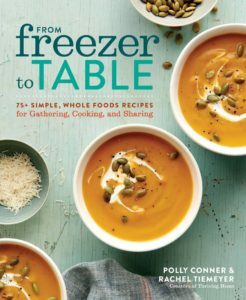 And last but not least, I love that Polly and Rachel share step-by-step freezer cooking basics, and their awesome how-to tips for planning Freezer Cooking Parties with friends and family. They have so many helpful, practical ideas for stocking your freezer with lots of simple, healthy meals to make it easier and more enjoyable to gather around the table with those you love, even on the busiest days! Cut chicken thighs into bite-size chunks and place into a 6-quart slow cooker. Cut the veggies as noted above. Place in a bowl and refrigerate until ready to use, as noted below. In a medium bowl, whisk together the apricot jam, garlic, soy sauce or coconut aminos, mustard, onion, salt, ginger, and red-pepper flakes. Pour over the chicken. Cover and cook on low for 4 to 5 hours. Check chicken at the 4-hour mark, if it's not cooked through, continue cooking. Once the chicken is cooked through, add the sliced bell peppers and broccoli florets. Then, continue cooking on low until veggies are al dente (about 30-45 minutes). Use a slotted spoon to remove chicken and veggies from slow cooker and place in a serving dish. Whisk in the arrowroot powder to thicken the sauce, if desired. To serve, ladle the sauce over the chicken and veggies. Serve over basmati rice or cauli-rice. To Freeze: Place the veggies into a freezer-safe container and freeze. 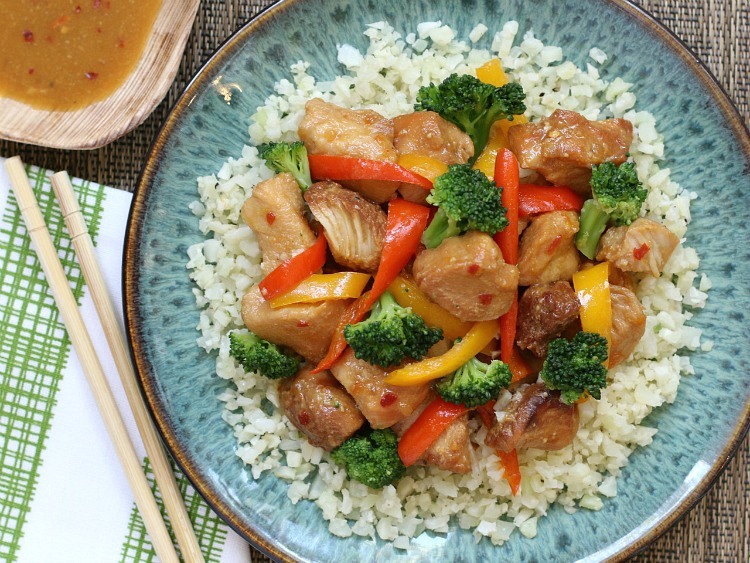 Add the diced chicken to a separate freezer-safe container, top with the sweet-n-spicy sauce, and freeze. To Prepare: Thaw the chicken mixture and veggies in the refrigerator overnight. When ready to cook, follow the instructions above beginning in Step 4. Easy and delicious!